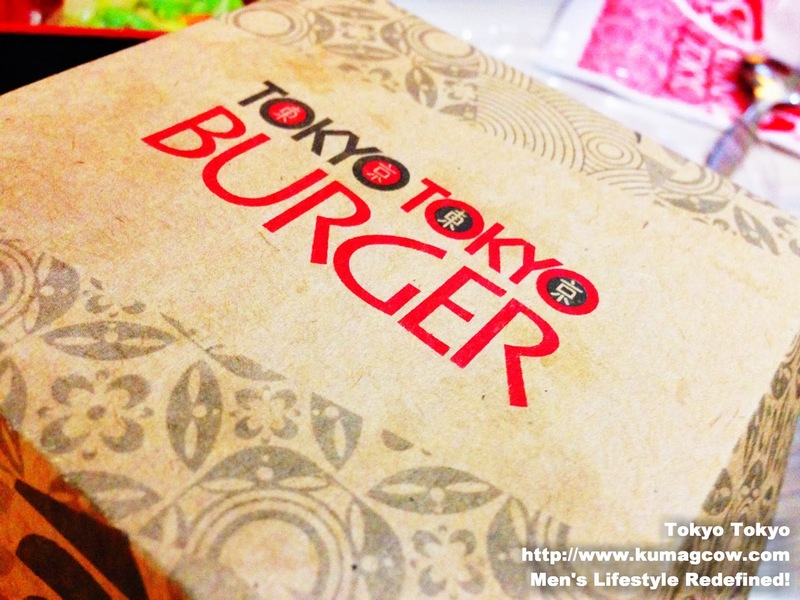 Good Food and the Winner of our Tokyo Tokyo Philippines Giveaway! This restaurant has been our go to place when I was in college. Without mentioning how many years ago that was, we find comfort in the four corners of this Japanese food mecca because it's affordable and the Red Iced Tea just hits the spot in a tropical country like ours. I'm sure you've already eaten here a couple of times because they've got some of the best Japanese food varieties available all throughout the day! This is TokyoTokyo! They have a variety of them in store but I ordered the Godzilla Burger to try it on for size. It's a pretty big one and quite tasty. It's best you have this eaten while in store so you can have it still hot off the grill. The meat is moist, the cheese is thick, plus the wasabe mayo on this thing is really good. Very JapaNICE if I may say so. You should try the Shitake Mushroom and Shogun Burgers too. They are veterans in this industry and you can't say anything bad on their Tempura. The sauce and all were probably developed over the years; making it a bit perfect for the Filipino palate. It's a tad sweet, but really good if you're finding something to satisfy your shrimp cravings. This one's part of their SUMO MEAL deals. I wanted something crunchy and that's what I got with the Honey Chicken Teriyaki plus the savory Beef Misono. I wanted more rice and they did fill up my bowl with hot white rice as it's unlimited in some stores like in Ali Mall. If you're out with a friend or two, this is a score! The pot stickers aka Gyoza was also tasty. I like the vinegar they served with this because its really tangy that it cuts through the fat coming from the dimsum. The skin had the right thickness too. I had two servings... so don't ask how I got this big. Really good, plus the price is very reasonable. A cup of rice can make this better! Their Kani Salad and the Mango Kani Salad presents a good alternative for those who want it more healthy. Although I must warn you I still ate a lot after munching some of these veggies because the Japanese mayo is undoubtedly so creamy you'll want more! Their California Maki and Spicy Beef Maki was really good. The serving might be too small for you though because you'll definitely want more. Don't worry, they have bigger servings via Maki Platter which you can order for 235 or 275 bucks. If you want something to take home or just enjoy with friends, this is definitely something that you should order right after you dine in Tokyo Tokyo. If I was asked to choose, the Spicy Beef would definitely win. Spicy Chicken, Tempura Miso or Braised Pork Ramen, you can't go wrong with that. It is advisable to have this inside the store because they serve this hot. The broth is really nice and not that salty. The steamy bowls would be the perfect thing to have in this weather... else, you can have the Udon if you prefer something a little more filling because the noodles on that's pretty phat! There's more TokyoTokyo food to share with your friends and family. You can't miss them in major malls and establishments. I enjoyed sitting there with my Red Iced Tea plus all these food with my family. It's time you make your own moments at TokyoTokyo Philippines. Don't just stand there! Go drag your friends there too! Before I forget, I'd like to announce the winner of my TokyoTokyo Philippines Giveaway. For the others, don't fret as we'll probably more giveaways soon on KUMAGCOW.COM!